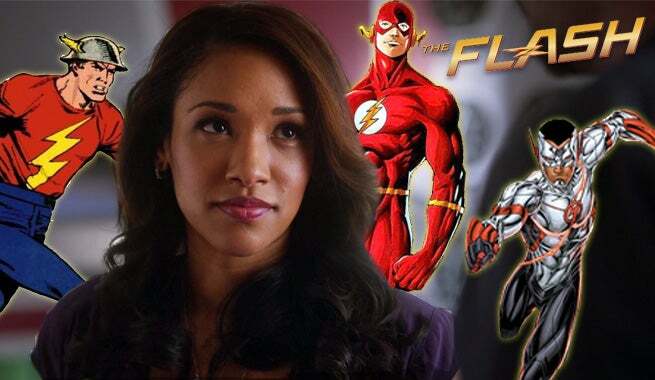 Candice Patton: "Three Flashes On One Season"
While it's been suspected that Wally West's inclusion on CW's The Flash will lead to him donning a leather suit and having super-speed abilities himself, Candice Patton confirmed the suspicions this weekend during her panel at Wizard World Nashville. "Wally is coming. Keiynan Londsale who's been cast to play him is a great Australian actor. We're really excited to have him. He's not there yet so we don't know much about what kind of role Wally will take in season 2, but I'm sure it'll be good," Patton explained, before saying, "We'll end up having three Flashes on one season, which is really amazing, if you think about it. Jay, Barry, and Wally West." Are you excited for The Flash season 2? If the time travel wasn't enough to keep up with - the multiple Flash's will surely keep you on your toes! The Flash returns October 6 at 8 PM EST on the CW.